Young startups beginning their journey to success can struggle to get the attention and momentum they need. That doesn’t seem to be a problem for Capsool. This small team based in the north of England has not only an interesting product of its own lined up, but today sees the launch of a service it has built as an official part of the Queen’s Diamond Jubilee celebrations. Capsool’s own product, which it is keeping under wraps for now, will offer a new way of communicating, with a focus on timeframes – but that’s all the team will say for now. Meanwhile, the Jubilee Time Capsule is a website that has been commissioned by the Royal Commonwealth Society, marking sixty years since the Queen’s coronation by encouraging the public to submit videos, photos and text about memorable days over the past 60 years. The memories don’t need to be related to the Royal Family – as long as it happened between 6 February 1952 (Accession Day) and 6 June 2012, it can be submitted and may be part of a collection of content from the site that will be presented to the Queen later in the year. So, how does an unknown startup get the gig to build a Web app for a major event like the Diamond Jubilee? Co-founder Paul Carruthers explains that Capsool did some early tests of its product at Manchester Grammar School. One of the school’s staff was also an essay marker for the Royal Commonwealth Society (RCS), and a week later he was in a meeting where the RCS discussed the idea of a time capsule for the Jubilee. This chance encounter led to a project that has been over a year in the making. 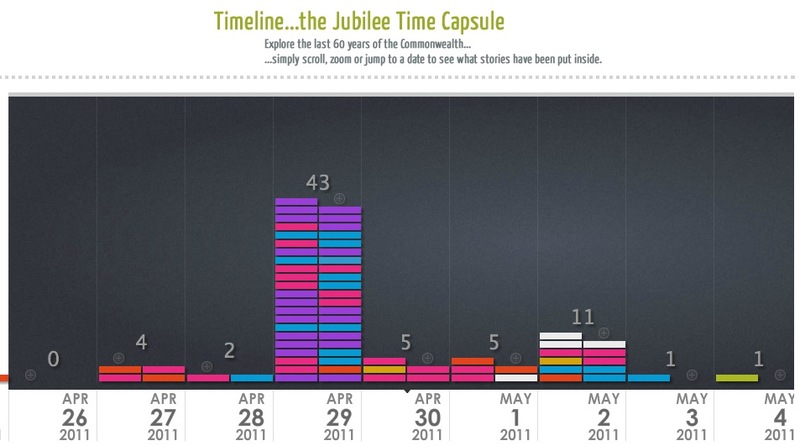 Following a soft launch last year, over 23,000 items have been submitted to the Jubilee Time Capsule. Capsool was started by Carruthers and Peter Kawalek while they both worked on a government IT project in Manchester, in the north of England. “I think we saw timelines way before Facebook. 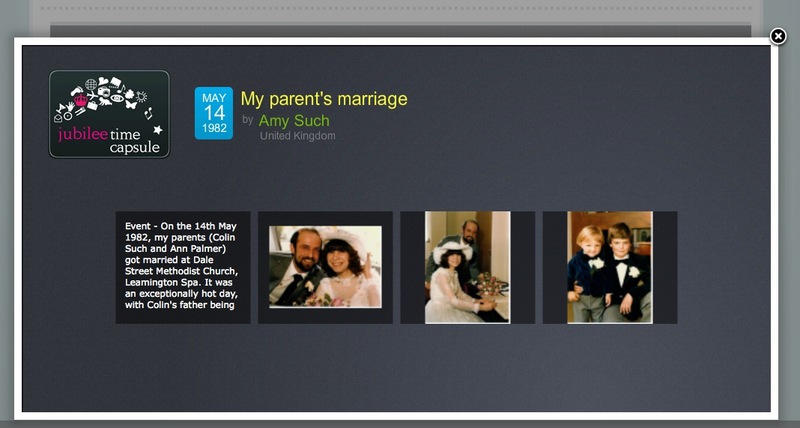 We have a more profound vision of where the Web is evolving than we see on current sites,” says Kawalek. Having a bold vision of what your product can do is all very well, but if you don’t have the right ecosystem around you, gaining traction can be difficult. We’ve discussed the problems faced by startups in the north of England before, and Carruthers agrees that life can be hard for startups just a couple of hundred miles north of London. “I don’t really see active networks out there for us to get involved in. When you’re just looking for small amounts of money to get started, it’s hard. I don’t think it’s easy to find cheap office space in Manchester. In London there are places like TechHub where you can go. There’s just none of that base-level help. There’s so much good creative, digital stuff that goes on in Manchester but it tends to be agency based and digital production rather than startups. I’d be hard pushed to tell you anyone else in a similar position to us. The Capsool team has found that VCs only want to talk once the product has gained traction, and the lack of a strong network of angel investors in the north has led the startup to stick to self-funding for now. However, Kawalek doesn’t see that as a particularly problematic situation. “I think that it’s easy for startups to get fixated about VCs, a bit like bands used to get fixated by getting signed by major record labels. But then people begin to break the model and almost ‘sign themselves’.